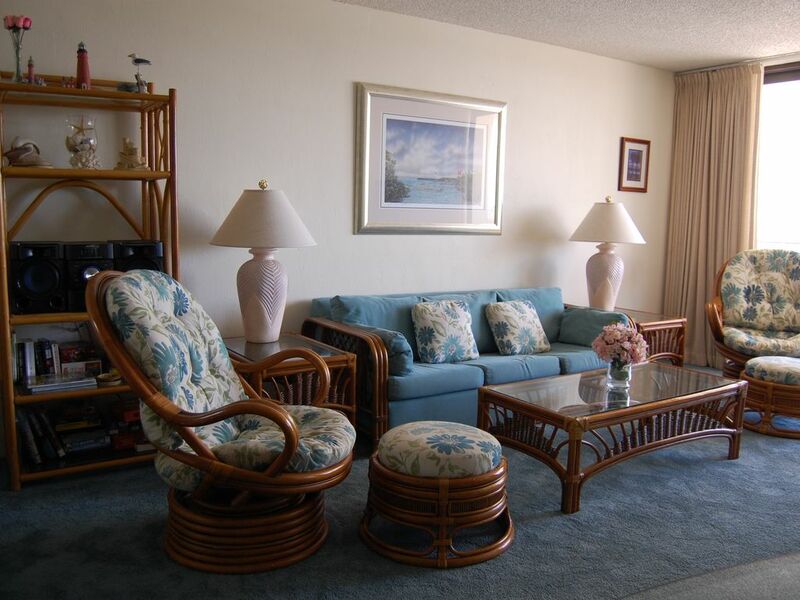 Sand Dollar Condominiums - Fully Furnished Oceanside Condo! Fully furnished, NONSMOKING condo with king-size bed in master bedroom, twin beds in guest bedroom, and pull-out queen-size sofa bed in living area. The Living room includes dining area and breakfast bar. South side balcony with view of pool and beautiful Daytona Beach Shores. Easy elevator and stair access to second floor condo with security monitoring for parking garage, entrances, and surrounding property. Within two hour drive to many other Florida attractions such as Disney World, Legoland, Universal Studios, and Sea World in Orlando; Kennedy Space Center in Titusville; and historic Saint Augustine. Five miles south of Daytona Beach's newly renovated Boardwalk. Unit # 204 on the south side of building with balcony view of beach. Building, pool,hottub directly on the beach deck. WI-FI in building, the condo also pool side. For 10 years we come to the Sand Dollar and stayed in the condo again. As always it was very nice. The condo has everything you need, even an extra bed for our grandchild. We stayed with 4 adults and a 4 year old child and it was very nice. The building and the pool area are very good maintained and we loved the ocean. We can't wait to go back there next year. Daytona International Speedway. 1.5 Hours from Orlando airport and theme parks. Cape Canaveral and Kennedy Space Center about 1.5 hours. Historic St. Augustine 1.5 hours.